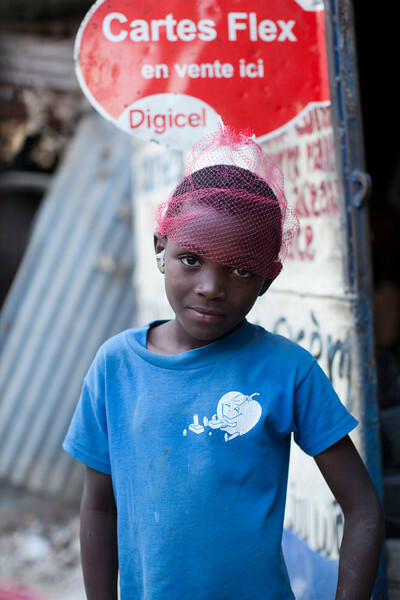 Haiti One Year Later: I'll never forget the strength and resilience of the Haitian people. 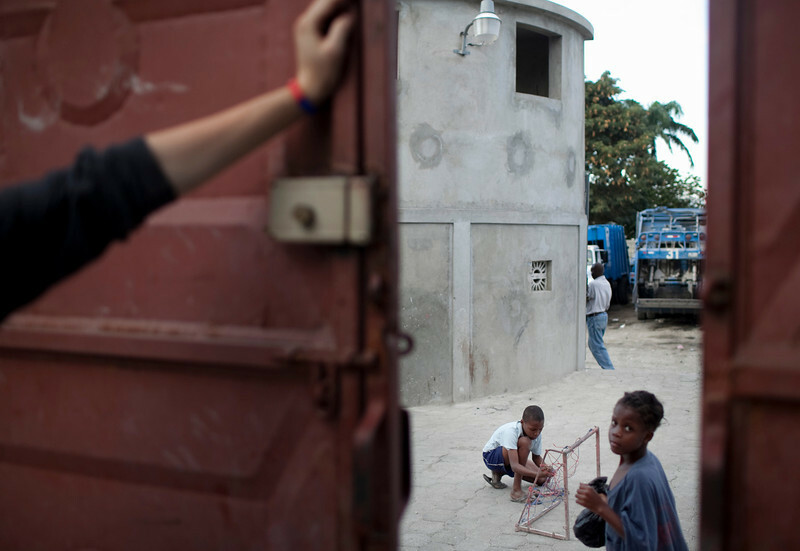 One year after the quake hit, I traveled to Port au Prince to see for myself what progress had (or hadn't) been made. Here is a bit of what I saw. 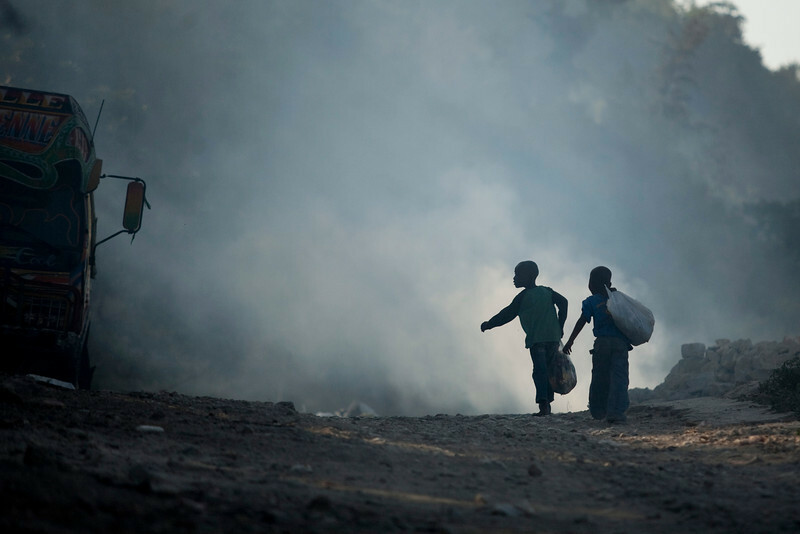 Children living in the hills above the Petionville region of Port au Prince, Haiti leave their school and walk past a trash fire. With no sanitation deptartment, garbage is often burned causing health problems of its own. 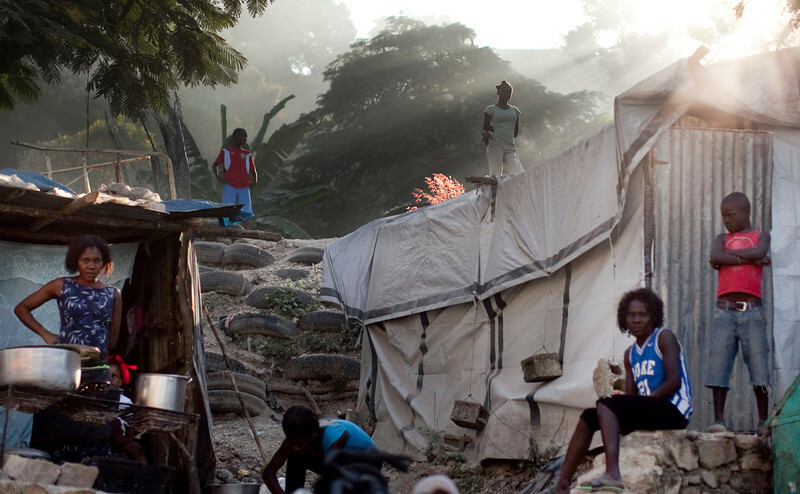 Residents in the hills above the Petionville region of Port au Prince, Haiti have set up housing structures out of sheet metal, tarps, and tires. 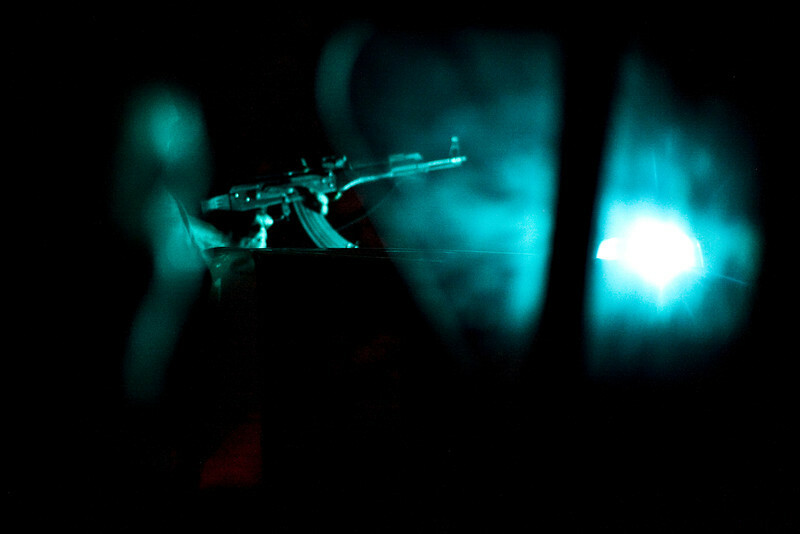 A Haitian police officer carries an AK-47 rifle while on a night patrol in the streets of Port au Prince, Haiti. 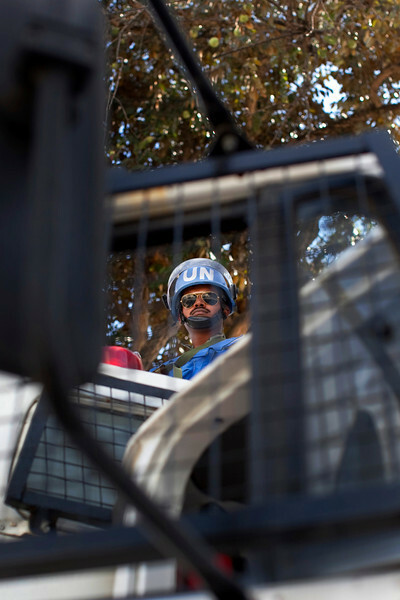 A United Nations soldier from India stands guard on top of a UN patrol near the KEP, the Haitian ministry of elections, in Port au Prince, Haiti. 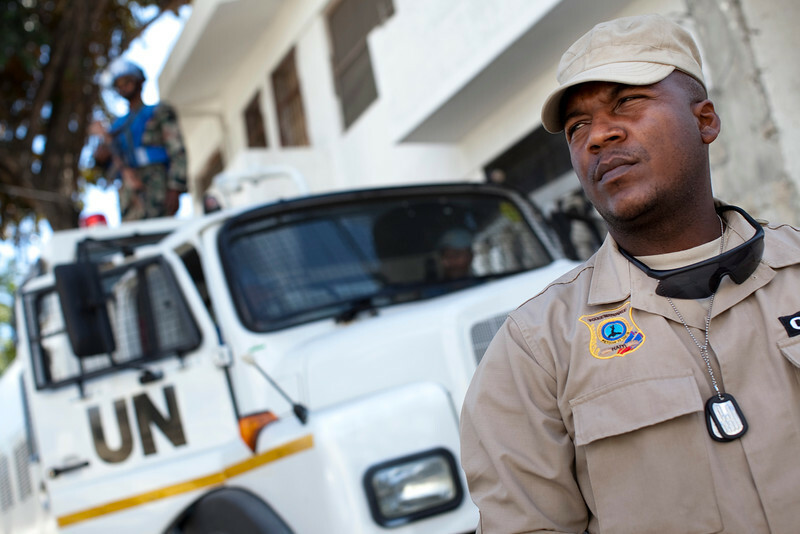 A Haitian National Police officer stands guard in front of a UN patrol near the KEP, the Haitian ministry of elections, in Port au Prince, Haiti. 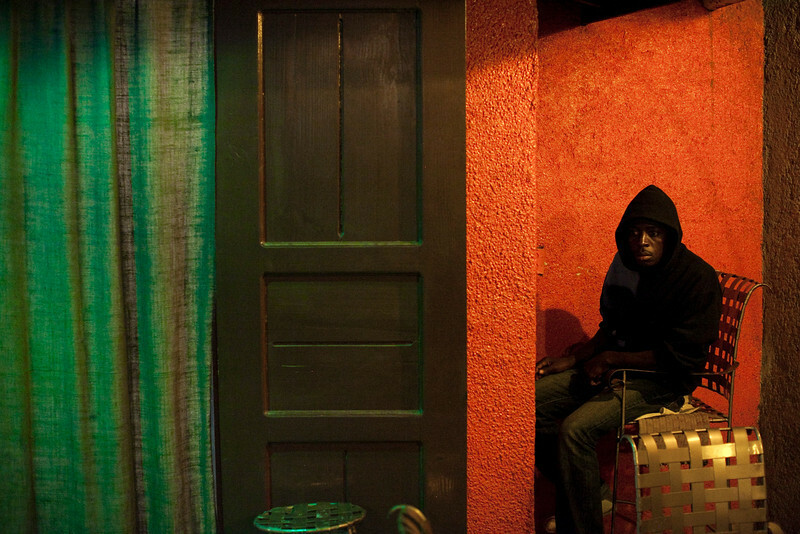 A bouncer at a local restaurant in Port au Prince, Haiti watches patrons and guards the entrance. Riots will often form instantly in the streets upon hearing unwelcomed politcal news. 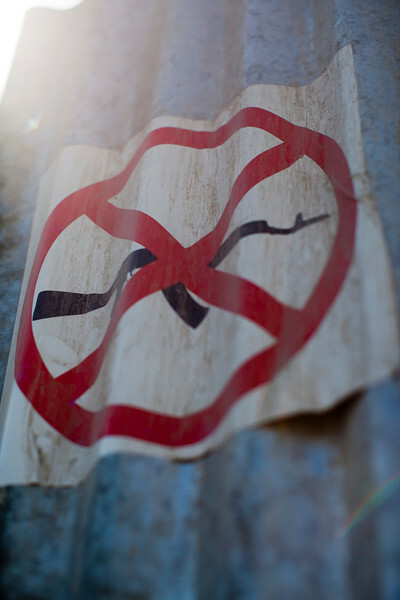 A sign showing a gun-free zone is seen on a gate to a cholera treatment center in downtown Port au Prince, Haiti. There is a growing black market for weapons in Haiti which has led to escalated levels of violence in the streets. 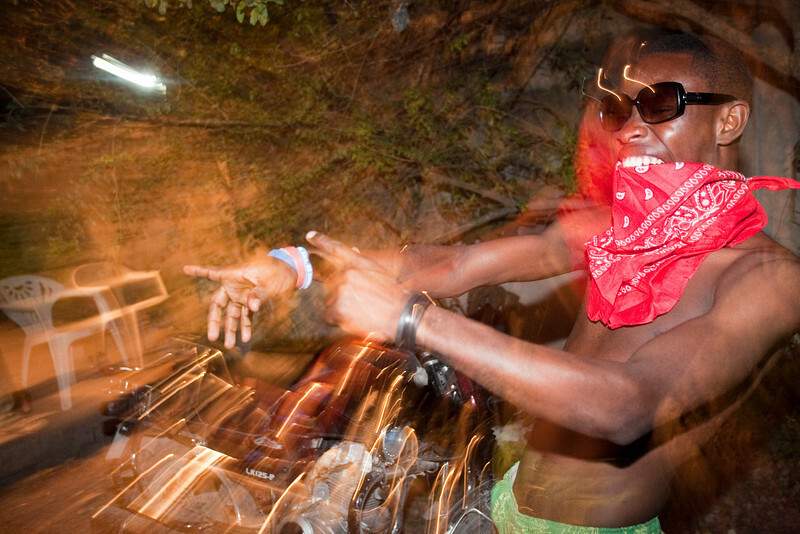 A Haitian man dances to local rap music at a party in the Delmas region of Port au Prince, Haiti. The earthquake left many Haitian musical artists with the responsibilty of both entertaining and being a voice for the Haitian people. 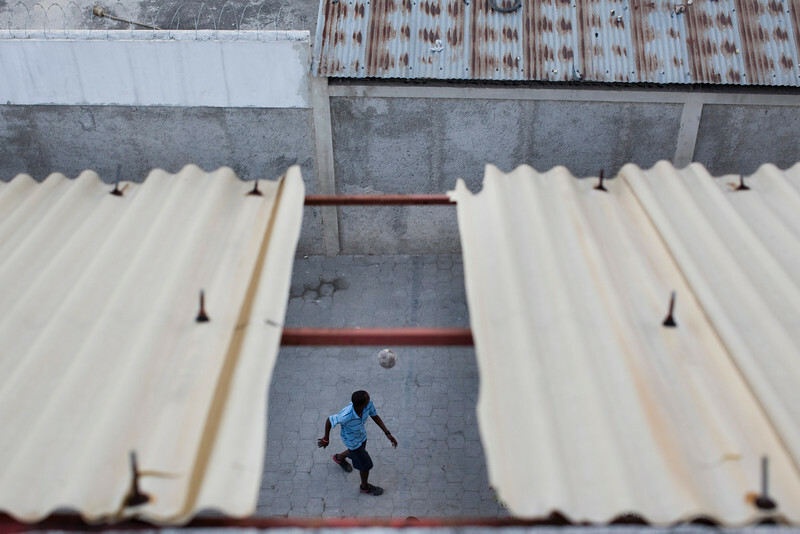 Children play in an ally way between the walls of various compounds in the Delmas region of Port au Prince, Haiti. Children that do not attend school often stick together and play in spaces off of the main streets to avoid trouble. 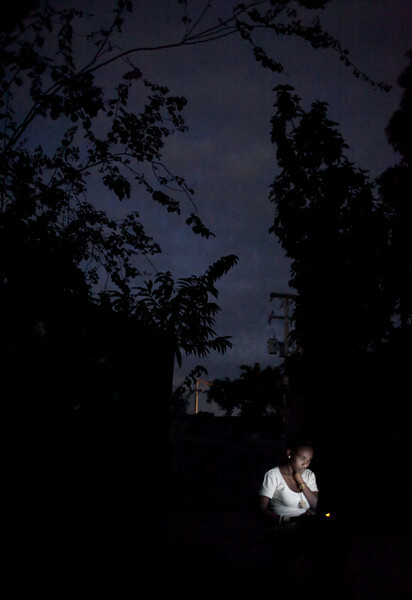 A woman waits for announcements to be made by the KEP, the Haitian Ministry of Elections, in Port au Prince, Haiti. Important announcements would often be kept secret until the last moment possible due to the high risk of inciting riots. 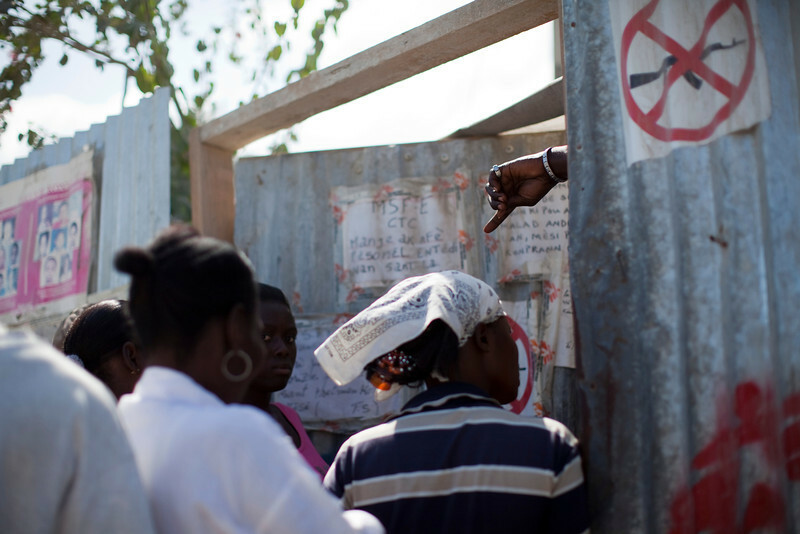 People are kept out of a cholera treatment center in downtown Port au Prince, Haiti. 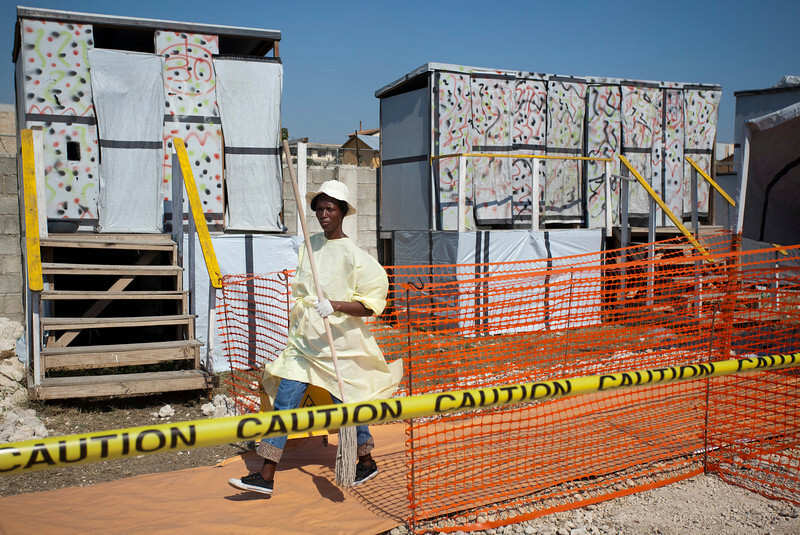 Visiting hours can be strict due to the high risk of spreading the disease, which has already claimed over 4,000 lives in Haiti since the outbreak. 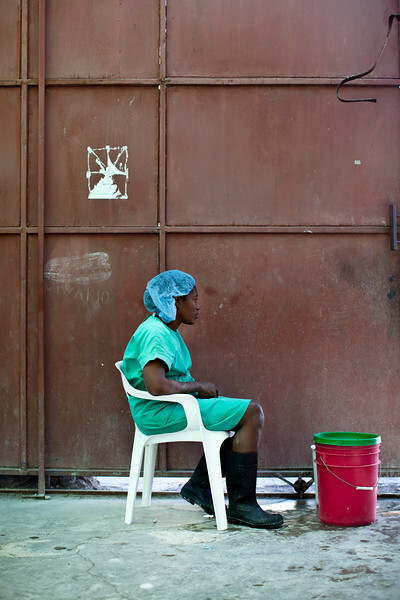 A woman cleans portions of the Zamni Lastante Cholera Treatment Center in the second largest refugee camp in Port au Prince, Haiti. Deaths related to cholera have risen above 4,000 in the past month. 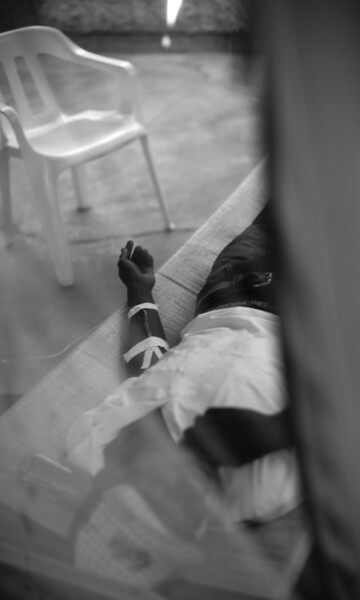 A cholera patient is given saline solution intravenously at the Kay Nou health center in downtown Port au Prince, Haiti. Cholera dehydrates its victim through diarrhea and vomitting, resulting in death unless treated. 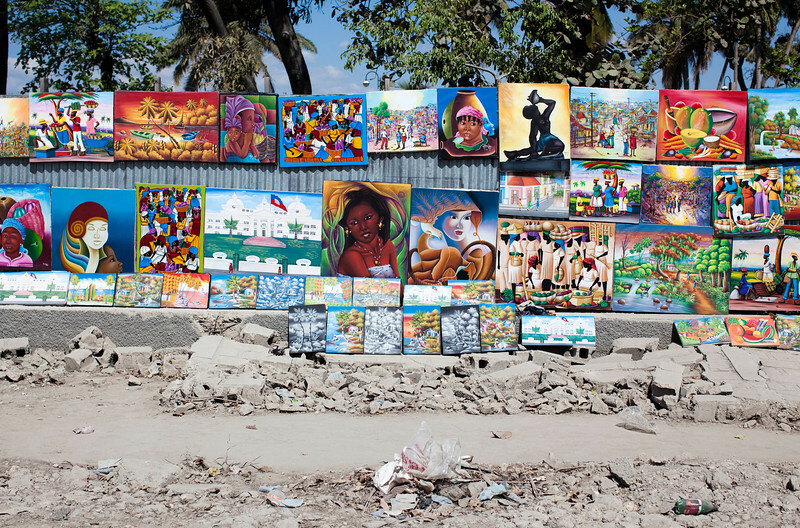 Art is sold along the torn up and dusty streets of downtown Port au Prince, Haiti. 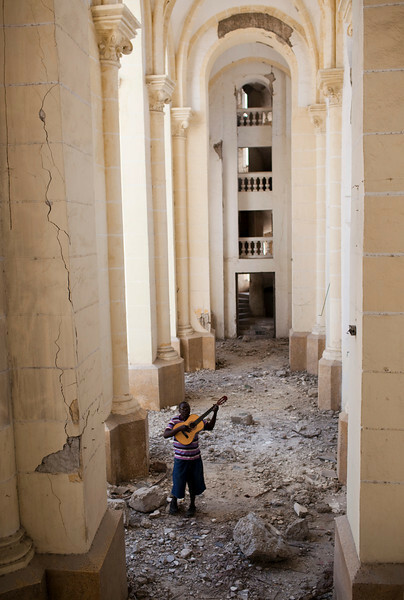 A man plays guitar in the ruins of the Cathedral of Our Lady of the Assumption, in downtown Port au Prince, Haiti. No restruction efforts have gotten underway after a year since the earthquake that destroyed it. 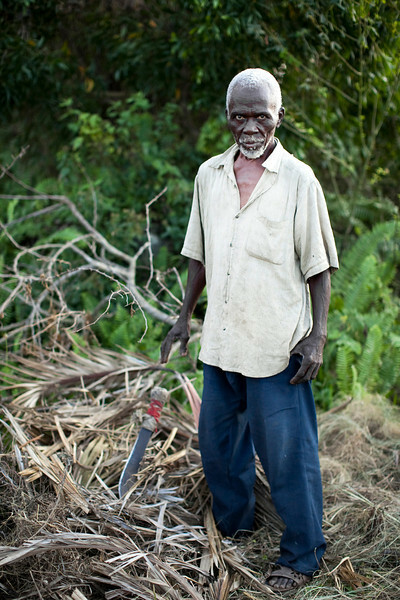 A man with machette close by cuts the leaves off of roots recently torn from the ground in the hills above Petionville, Haiti. The man looks after a home nearby that has been foreclosed upon, and uses its land in the mean time to try and sustain crops. 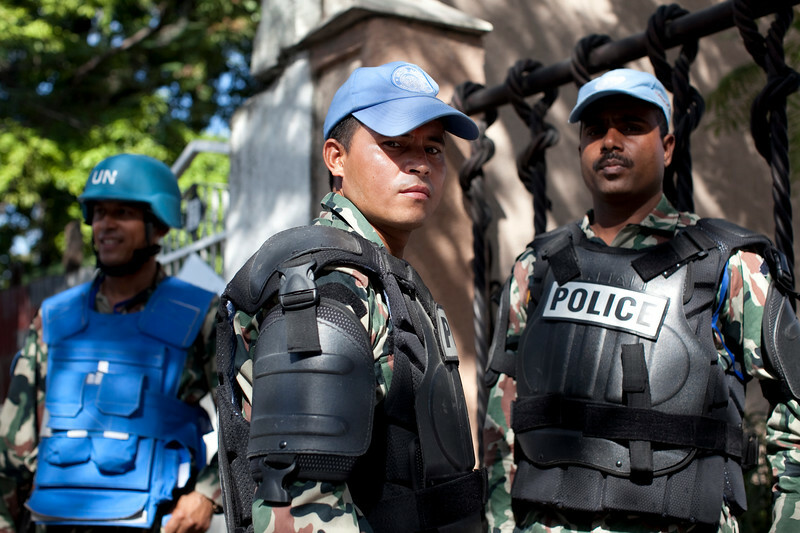 United Nations soldiers from India stand guard near the KEP, the Haitian Ministry of Elections, in the Petionville neighborhood of Port au Prince, Haiti. 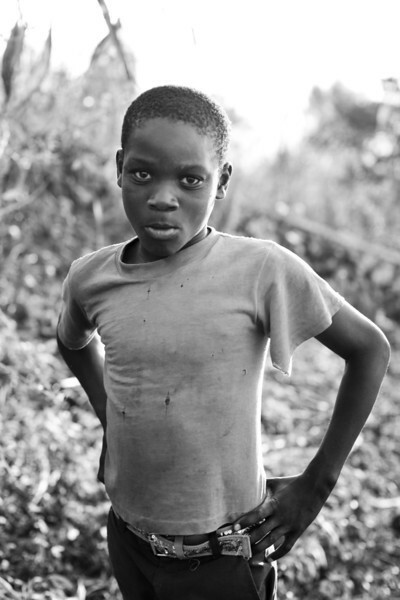 A young boy in the hills above Petionville, Port au Prince, Haiti. A young boy tends to farm land in the hills above Petionville, Port au Prince, Haiti. 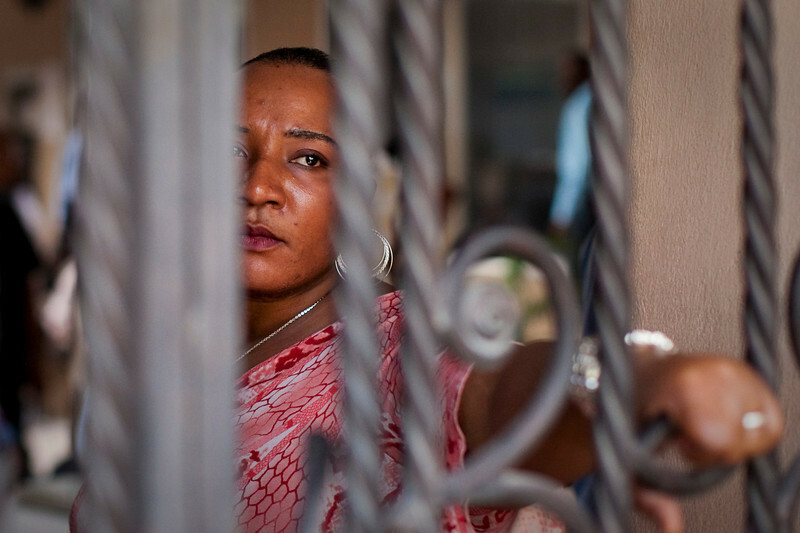 A woman stands at the entrance to a cholera treatment center waiting to rinse visitors' hands and feet in chlorine solution at the Kay Nou Health Center in downtown Port au Prince, Haiti. 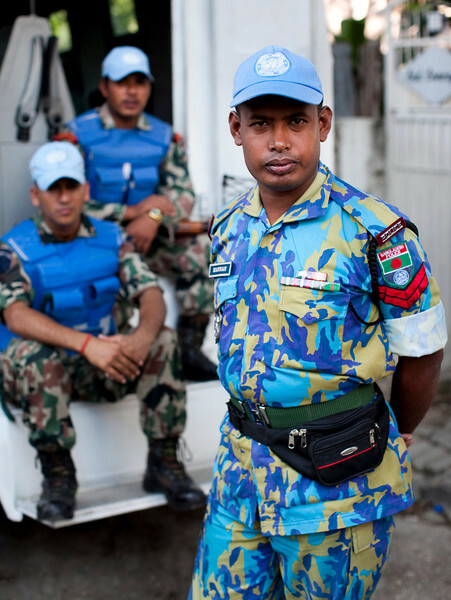 United Nations soldiers from Bangladesh and India stand guard near the KEP, the Haitian Ministry of Elections, in the Petionville neighborhood of Port au Prince, Haiti. 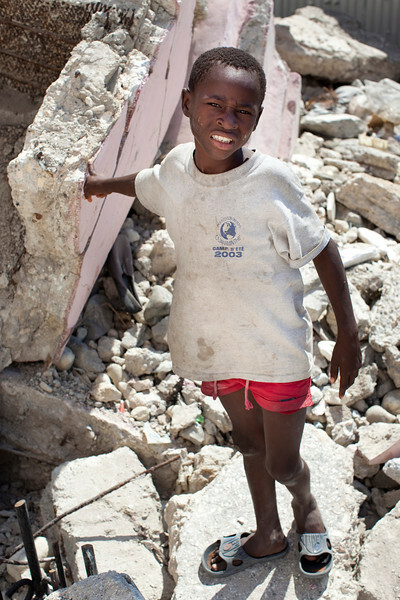 A young boy stands in the rubble of the Cathedral of Our Lady of the Assumption, in downtown Port au Prince, Haiti. No rubble has been removed and no reconstruction is underway on the almost century-old cathedral that fell during the December 2009 earthquake. 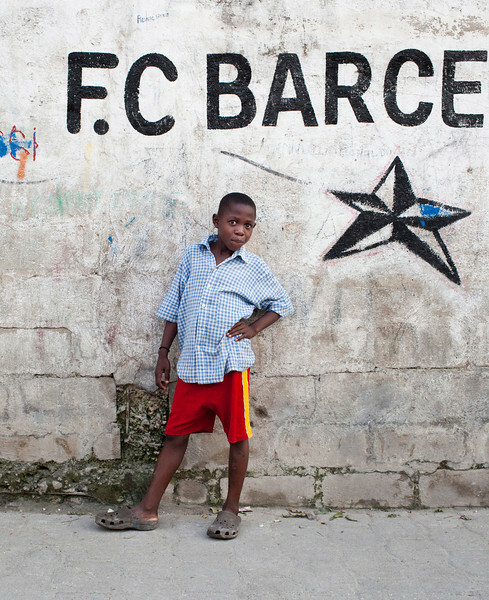 A young boy from the Delmas region of Port au Prince, Haiti poses in front of graffiti featuring the popular Spanish soccer club, F.C. Barcelona. Children often play soccer in alley ways with often with no shoes and flat balls. A young girl in the hills above Petionville, Port au Prince, Haiti. American NGO Lend a Hand and Foot has recently taken on the challenge of teaching Haitians EMT skills up to the level that a student in the US would be certified by. A woman works on her laptop inside the LAHAF compound gates, electricity blackouts are frequent and random, making it difficult to get work done. 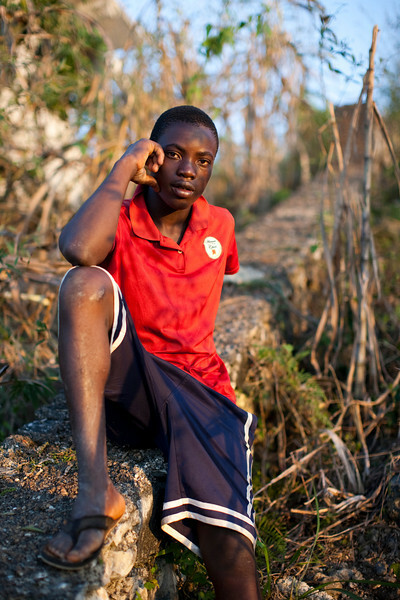 A young man takes a break from working the local farm land in the hills above Petionville, Port au Prince, Haiti. American NGO Lend a Hand and Foot has recently taken on the challenge of teaching Haitians EMT skills up to the level that a student in the US would be certified by. 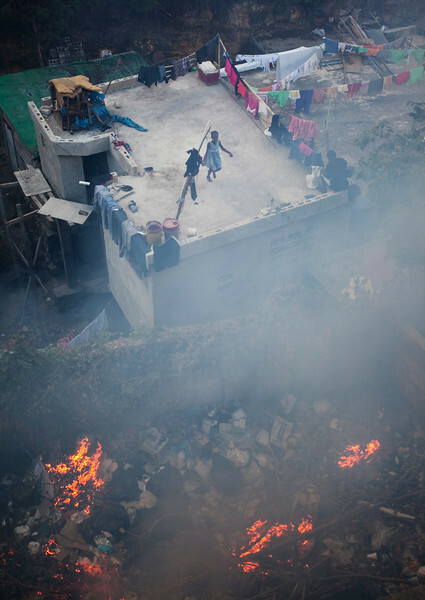 A little girl jumps rope above a trash fire located directly behind the organization's compound. 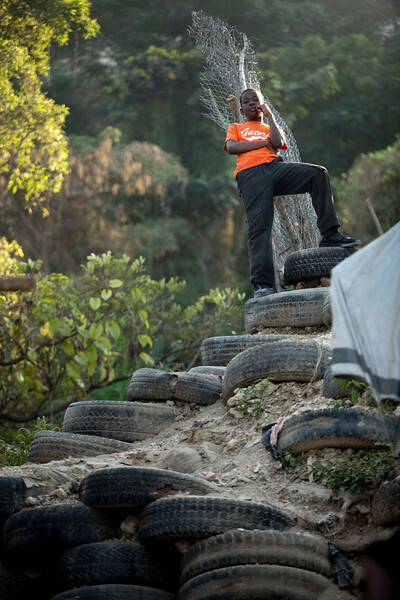 Trenches are used all over Port au Prince to store trash, often set ablaze once full. Poor sanitation conditions in the region are the cause of many illnesses. 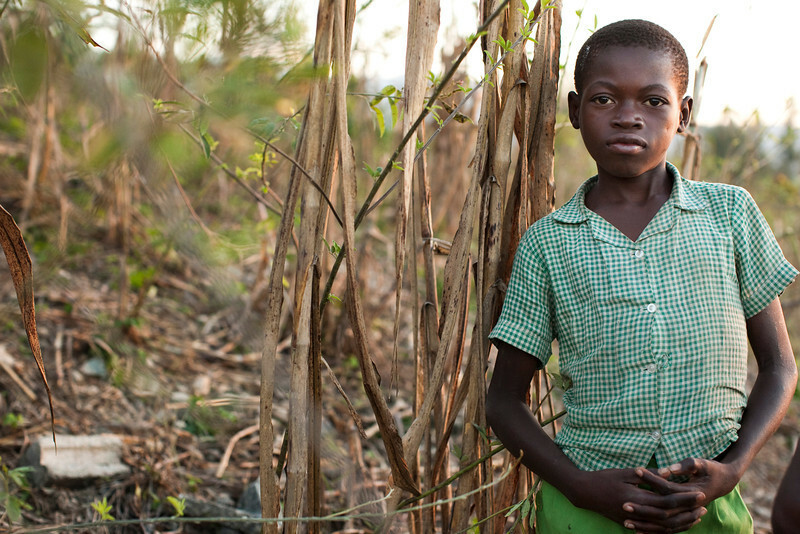 A young boy works the local farm land in the hills above Petionville, Port au Prince, Haiti.